Christo and Jeanne-Claude are celebrated for their ambitious sculptural works that intervene in urban and natural landscapes around the world. This summer, in the heart of London, the Serpentine Galleries presents a major exhibition spanning six decades of their barrel artworks. 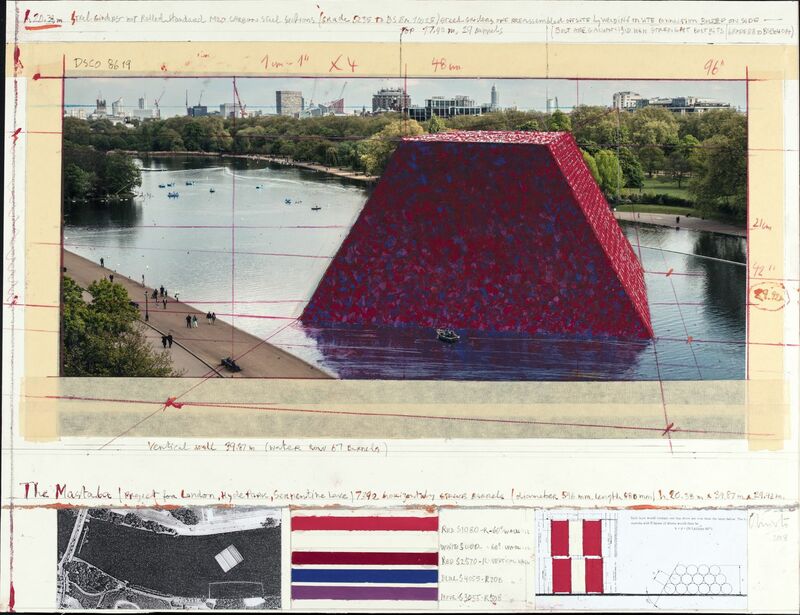 Simultaneously, Christo will present The Mastaba (Project for London, Hyde Park, Serpentine Lake), the artist’s first public sculpture in the UK.